What happened next can only be explained as an extraordinary out pouring from God. Men not only stood throughout the auditorium, but they also climbed on their chairs, clapping and shouting. There wears tears in the eyes of many, where before there had been only contempt and distrust. Then the Butcher fell to his knees and prayed for Jesus to come into his life. He asked forgiveness of his sins. Many of Joe’s buddies followed him. The angels of Heaven must have sung an especially joyous chorus that night. How many encountered the living Christ that night? We didn’t count, but a year later, nearly four hundred prisoners were participating in chapel programs. 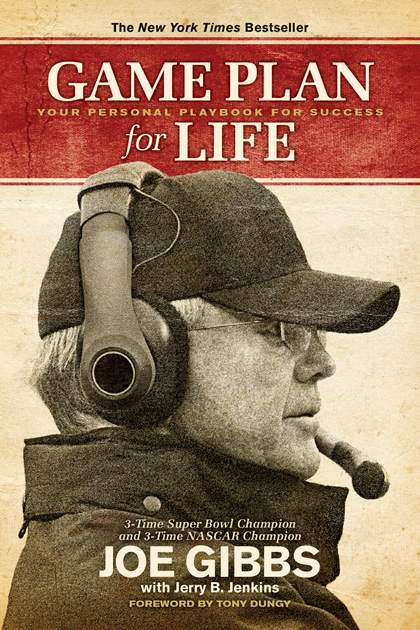 Joe Gibbs, 3 time Super Bowl Champion Coach.